Contrary to what you have been told, or may believe a total loss is nothing to do with the damage to your vehicle. Technically there is very little that cannot be repaired. A Total loss, is where the cost to repair the vehicle EXCEED the market value. That is the correct point the vehicle is a total loss, at it is no longer economical to repair. A vehicle is NOT a total loss when the repair cost are LESS than the market value. Your contract of insurance will or should say ” We indemnify you UPTO the market value of your vehicle.You are completely in your rights to insist on having your car repaired UPTO the market value as stated in your contract of insurance. ( That is what the contract is for). Should your insurer not do this, they are in breach of contract. The only time a vehicle can be deal with as a total loss when repair cost are LESS than the market value is when it is done with your consent. This is called a ” CONSTRUCTIVE TOTAL LOSS” this is where YOU have consented to the Insurer to take ownership of your vehicle and they will obtain a sum of money for the salvage of your vehicle. This allow’s the insurer to limit their liability to LESS than the market value. This type of total loss is called a Category D total loss. I will go through all the categorisations and explain in further depth. If the repair cost are less than the market value, and you want your car repairing, do not let your insurer tell you otherwise. And they will. CATEGORY “C” The estimated repair cost to your vehicle are more than the market value of your car. CATEGORY “D” This is what the insurance companies call a “CONSTRUCTIVE TOTAL LOSS”. What this means is that the INSURER IS DECIDING NOT TO REPAIR your car, as when the insurer has looked at the repair cost and the amount of money the insurer will receive when the sell the salvage are more than the value of the vehicle. As state above, you can insist on it being repaired. Remember, the vehicle is YOUR property , not that of the insurer’s unless they purchase it from you. To give you an example to make it clearer on a Cat D total loss, you have a car worth £1000 , the insurer when disposing of the salvage of the vehicle advise’s that it will obtain£300 for the salvage of the vehicle when they dispose of it. Categorisation of vehicle salvage is due to change. The categorisation of salvage has long been in need of review, it had been revised and is due to be amended in September. My understanding is that the final version of the draft has not been agreed fully, but in principle it will be as below in this draft version. There will be three categories. Category B this vehicle is not suitable for repair and must be crushed. Category S This vehicle has sustained structural damage but is suitable for repair. Category N This vehicle has sustained No Structural damage and is suitable for repair. Can I retain the salvage of my vehicle? The answer in every situation is YES the vehicle is your property and even on a Category A ,you could technically retain it. Only in very rare circumstances would I suggest in retaining the salvage, aside from these rare situations(which I will go through below) I would highly suggest it is not in your interest to do so. Retaining a Cat D is extremely foolish , as you are being conned by your insurer. Here is why. Repair cost on your £10000 car are £8500. Your insurer advise’s that the car is a Cat D total loss, and you can retain the vehicle for £3000. This means you get £7000, plus your car back unrepaired, and it now has the stigma of being a Cat D, and the market value is worth 20% less than it would be without. We already know it is going to cost £8500 to repair your car, so even using secondhand parts you would struggle to repair for £7000 you received. Once you have spent your £7000 your car is now only worth £8000. Had you asked for a Cash in lieu settlement, you would have received the £8500 and still have a vehicle that is not a total loss. You would be at least £2000 better off. Insurer’s do no like providing cash settlement at higher figures as they like to reduce the risk of fraud and they have the contractual right to offer to repair. You can also insist on the vehicle being repaired. 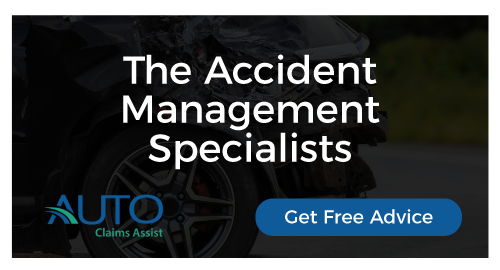 In both situations, your car has been(should be) repaired to manufacturer standards,and is still worth approximately what it was prior to the accident. Do not forget, as I keep stating, look and read your contract of insurance!!! It will state you are indemnified UP TO the market value. The insurer only has the right to retain the vehicle when they have bought the vehicle off you. Up to that point the vehicle is always yours. This is where the repair cost exceed the market value, this vehicle when repaired will be worth approximately 20-30% less than a vehicle without this history. This seriously needs to be bourne in mind. If the vehicle has any structural damage WALK AWAY!!!! Unless you are a professional commercial repairer or have access to one, I would not contemplate retaining. The only time it makes sense to retain a vehicle that is a Cat C is when it is cosmetic damage, or when the panels damaged are ‘Hang on’ panels, ie front wings, bumpers and doors. Contrary to what every insurer and pretty much anyone you speak to will tell you, YES you can retain a Cat B total loss. These vehicles can NEVER go back on the road again,you will not be able to obtain a V5 registration document, and you will never be able to tax or insure it. The only time I would suggest retaining a Cat B is if you either have a classic vehicle and the parts are extremely rare and hard to come by. Or you have a modified vehicle and wish to retain the parts you have fitted. This could be on anything from a vehicle with engine and suspension mods, to someone who has converted a van into a camper van/motorhome. You may find the insurer (and I would hope they do) would also request for a certificate of destruction of the shell of the vehicle, once all the items required have been stripped from the vehicle. What must be remembered is the Code of Practice for the disposal of salvage is just that. It is not Lawful, it is not under an act of parliament and cannot be enforced on a consumer. And this is why It needs to change, at the moment anyone can get their hands on any salvage, and it can easily be the vehicle that does have a category against it has not been repaired safely. Insurer’s should stop profiteering by selling salvage as “constructive total losses” and repair them correctly. As of October 2017 , this new code will apply. Please note the section above where the FOS advise that the insurer should only pay the amount it would cost at their approved repairer’s, this is why i recommend taking your insurer to court for the full cost of repairs at your repairer.